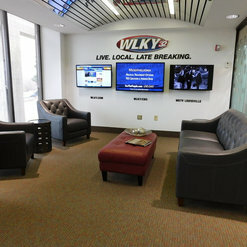 The Flooring Gallery is Kentucky's and Southern Indiana's largest locally owned flooring company servicing the area for over 40 years. With 5 showroom locations, The Flooring Gallery strives to provide the best service and products for the best value possible. The Flooring Gallery is a full service residential and commercial flooring center featuring every type of floor available today. 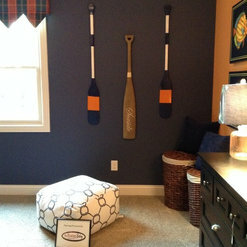 The Flooring Gallery features top brand floors with quality and service you expect. 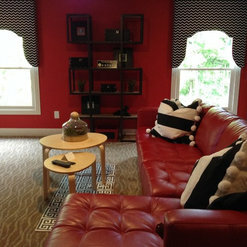 In addition to flooring, The Flooring Gallery provides a large line of custom window treatments and blinds. "Your home's best friend!" Traditional Living Room with a Pop of Color! Run! They will not deal straight with you, return calls or give you a real date of completion. They showed up late (I am a working single mom) and they promised that the project would be done on Friday. They were a day behind and now they will not do anything until December 26th...leaving myself, 2 boys, & 2 dogs without a place over the holidays. AWFUL! 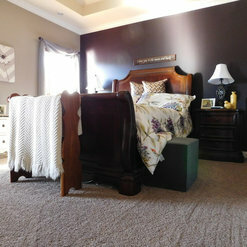 I had two rooms (one very large at 1000 sq ft) with carpet installed from The Flooring Gallery. Sales person was excellent - knowledgeable, helpful, and extremely patient with my slow decision making. Installation was another matter. The large job was completed first and an absolute mess was left for me to clean up in addition to the seams showing and a bath mat ruined with glue. Scheduled repair and guy did not show up. Then when the 2nd job was done they sent the same installer! He could not finish the job - did not know how to do the type of seam needed to match the pattern in the carpet. So I had to give up a 2nd day for him to come back with more experienced installer to complete. The job was done and Flooring Gallery did reduce my bill to compensate but what a hassle this was. The installer should never have been the head installer - he did not know enough. I was very disappointed in my experience. Sandy, thank you for your honest review. It is always our goal to offer the best customer service and I am sorry that your overall experience was less than perfect. I have been in touch with our installation manager and that particular installer will receive additional training. Absolutely the worst experience with the installation. I was told 2 days max, most probably just one, to install luxury vinyl on living room, foyer and hallway. it took the 1 installer they sent 3 days and I was left with debris, nails, dirt on the floors, walls and furniture, not to mentioned and THE ABSOLUTE WORST quarter round job even seem and scratched new floors. WILL NEVER RECOMEND THE FLOORING GALLERY. I purchased flooring from this company. It was defective. When I returned the product, they charged me a 25% restocking fee. There should be no restocking fee to return defective merchandise for replacement or credit. We are sorry that you were not satisfied with the flooring you selected. The particular style you selected is one of the better selling items from that manufacture and we have had virtually no issues with it. We did offer to send our Service Manager out to your home to show the proper way to install the product prior to you returning it but you declined. The product was inspected when you returned it and it was 1st quality and went together using the recommend technique. The restocking charge was for returning the special order material to the manufacture. It is our goal to satisfy our clients and we are sorry the item did not work for your DIY project. I've had had the pleasure of working with The Flooring Gallery for over 20 years: -Terrific product selection. -Talented design staff to work with my clients -Professional, reliable installation. -Excellent service after the sale. Replaced 3000 sq ft of commercial flooring. Very professional from ordering to installation. 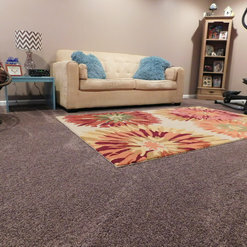 The quality of the carpet and installation exceeded my expectations. I had an in store consultation with Natalie and she was absolutely wonderful. She was helpful at giving flooring suggestions without being pushy. 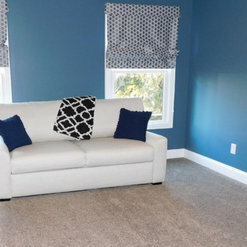 She listened to my ideas and budget and found the perfect flooring solutions for our new build home. 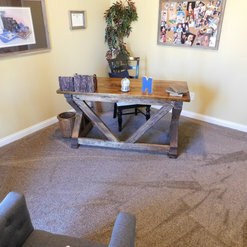 I would very highly recommend working with Natalie at the Flooring Gallery. Natalie Goodin was our design professional in our condo renovation for flooring and tile selections in our master bath and kitchen. She helped us select the backsplash for our kitchen to complement a favorite piece of pottery. Natalie showed us a beautiful old world but contemporary looking tile that beautifully complemented all the elements of our kitchen. She also showed us luxury vinyl wood-look flooring which we used throughout the living/dining area, kitchen and master bedroom. 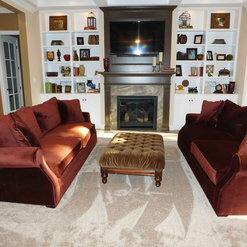 It is warm looking, and once again, contemporary but also complements our traditional furniture. Lastly, Natalie helped us with our master bath tile selections. She suggested a pebble detail in the shower and large rectangular tiles on the shower walls and bath floor which gave the bathroom a contemporary and warm vibe. Since moving in and living in our “new” home we couldn’t be happier with our selections. Natalie was a pleasure to work with. Her creativity and professionalism was vital in selecting finishes that made the renovation become our beautiful and comfortable home. From the point of purchase through the installation, The Flooring Gallery did a beautiful job helping me pick out the perfect carpet!!!! They took plenty of time first learning what exactly I was looking for (even I did not really know) and then helping me pick out the perfect color and style!!! 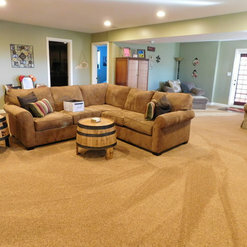 Then when they showed up to install the carpet their team was polite and efficient and very careful with my home. This was a huge investment and they treated me and my home with such care - I will certainly use them over and over again in the future!! I will recommend them to everyone! 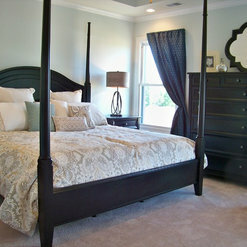 The Flooring Gallery is our vendor of choice for all of Prestige Builder's flooring needs. Natalie, Paula and the rest of the Flooring Gallery team provide creative design, incredible service and excellent pricing. They have designed and installed several Homearama homes for us all as well as handled the hardwood, carpet and tile for over 30 custom homes for us in the last two years. Highly recommended!!! 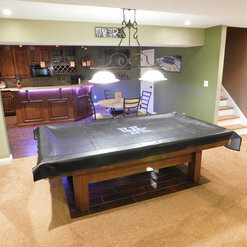 The Flooring Gallery offers one of the largest product selections in the Louisville & Southern Indiana area! With the help of their great design staff to assist customers with color selections, they make picking out new floors & backsplashes easy & fun. 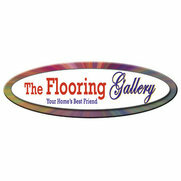 The Flooring Gallery has flexible weekend & evening hours!